Now that The Chronicles of Narnia is a bona fide billion-dollar cinematic franchise, producers are exploring the rest of author C.S. Lewis’ bibliography for adaptable works. 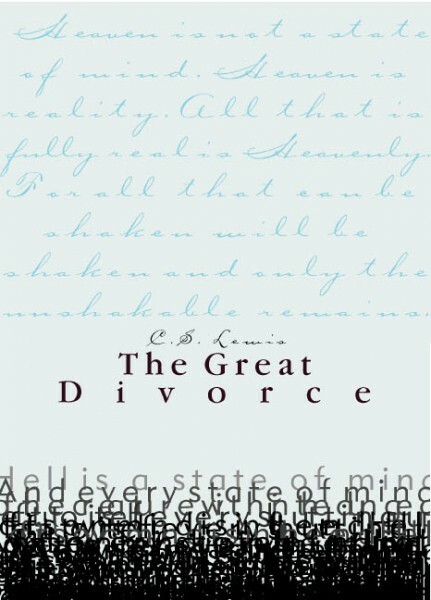 Variety reports that Mpower Pictures will team up with Beloved Pictures to bring Lewis’ 1945 religious allegory The Great Divorce to the big screen. The rights have been secured at Beloved for awhile, but fresh off The Stoning of Soraya M., Mpower is new to the project. Children’s book author N.D. Wilson (the 100 Cupboards trilogy) is attached to write the screenplay. The fantasy novel revolves around a resident of Hell who boards a bus en route to Heaven. Hit the jump for a full synopsis. What if anyone in Hell could take a bus trip to Heaven and stay there forever if they wanted to?